Don't you realize? I'm right behind your back. Just like what Deep Blue-san said. To add, Nanaca was not dragged into the protagonist's world. She was there since the beginning. Its not her real life body there, since she's already dead. It's a feeling left by a worrying mother. This game is very picky. Even though I installed it using Japanese locale and set my date/time format to Japan's and use the no DVD patch, I still couldn't play it with a message saying "This game is Japan-only blah blah blah ". I haven't touched it again ever since. 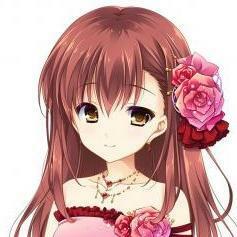 Is there a visual novel character who resembles your personality? Isn't there a post about this already? Hmm, as for me, I haven't found any character resembling my recent personality yet.It's even harder to find since my personality keeps changing. I'm having problems re-installing School Days HQ on my laptop. Dude, I'm just as frustrated as you that I can't help you without any specific details or screenshots. Have you read the FAQ of this game? Are you sure your problem is directx-related? Have you made sure that your computer fulfill the game requirements? Seems to be a nice project. I have some ideas but unfortunately none of them fits this VN. Well, I'm not too fond of this VN too. But I think this ending is still better than Code Geass'. Wait, that's not a VN, was it? Well, whatever. The point is the creator actually made the story to be so. If you read it more carefully, you'll understand that their world is not "the real world". It's a world created by the protagonist to be his safe haven. But in the process, he dragged several people inside. So the existence of Nanaca in there isn't strange, it's just the feeling hold by a mother who worried about her son. About him being a "monster", you could see the examples of why on Hollywood movies. Even people who in a glimpse look the same as the others, are "monsters" if they are far from being "normal". People tend to be in a normal state, having normal life, normal friends. Then they usually call a person who doesn't fit these normal states, "monster". In the end, the protagonist decides as a monster, he could only and should live alone in there, and you got the ending. It may be just a small problem, but sometimes the font on this site looks weird, like this one: Is it just me or does anyone having the same problem? What might cause this bad font? Welcome, welcome, welcome Hijiri-san to our lair. Enjoy your time and relax here. Feel free to ask/discuss/share anything with us. If My Heart Had Wings missing batch file? Welcome, welcome, welcome Valmore-san to our lair. Enjoy your time and relax here. Feel free to ask/discuss/share anything with us. This may be useful for you: /topic/1323-android-visual-novel-lets-play-visual-novel-on-the-go/"> From my experience with android VNs, your best bet to play VNs on android is playing Nscripter engine VNs (using Onscripter Plus), Reallive engine VNs (using rlvm), PSP brewed/ported VNs (using PPSSPP), and some compatible ported Ren'Py VNs. 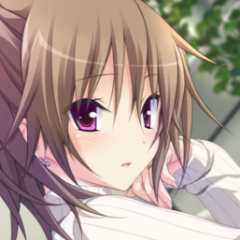 VNDS is a poor experience to read VNs.